Countless gorgeous posters, many of them French, promote the consumption of alcohol, but few achieve high style while arguing the Prohibitionist cause. Anti-saloon campaigners were better known for sketches of sentimentally drawn children, drunks in gutters, and pinstriped tycoons in top hats raking in bucks from the liquor traffic (imagery that reminds us of the close affinity between that and other Progressive-era anti-business movements). So where’d this Art Deco gem come from? It’s not immediately clear. It would be easy to mistake it for a simple traffic-safety poster, until you notice that as the vehicles whiz past each other in their Futurist way, the red diagonal that keeps them separate is labeled “PROHIBITION.” My online quest for its origins came up blank: among the few clues is the artist signature “LEW” at lower left, which also appears on this almost equally striking poster for the anti-alcohol cause. 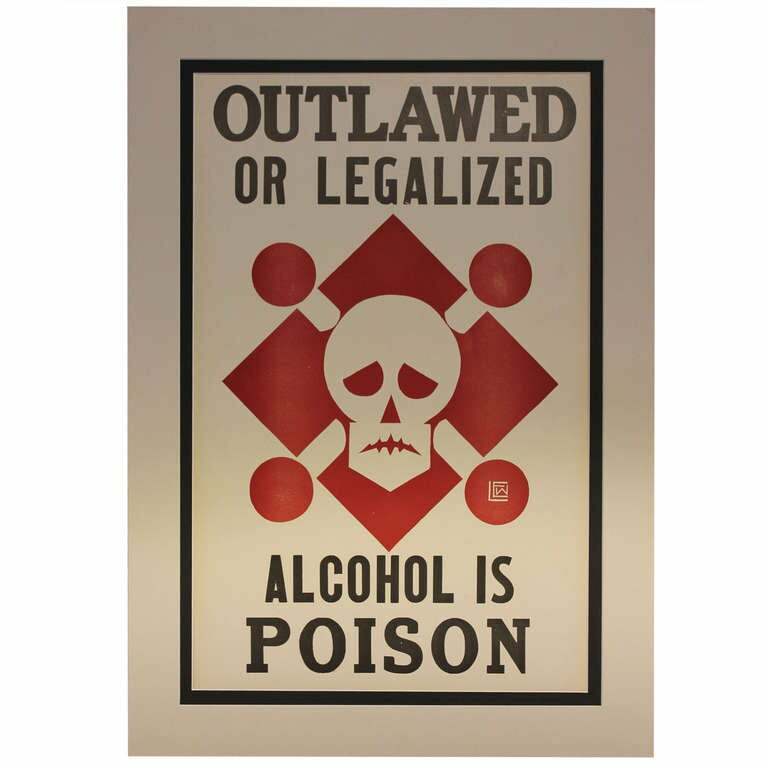 The latter poster includes the phrase “Outlawed or Legalized,” and the use of “z” rather than “s” in “Legalized” suggests American rather than British origin.